Global Slowdown – Does it affect the U.S? There is no question that the Global Economy is languishing. Now, with weakness in US economic data starting to filter through, the big question that arises is if the U.S will be dragged down by the global economy. 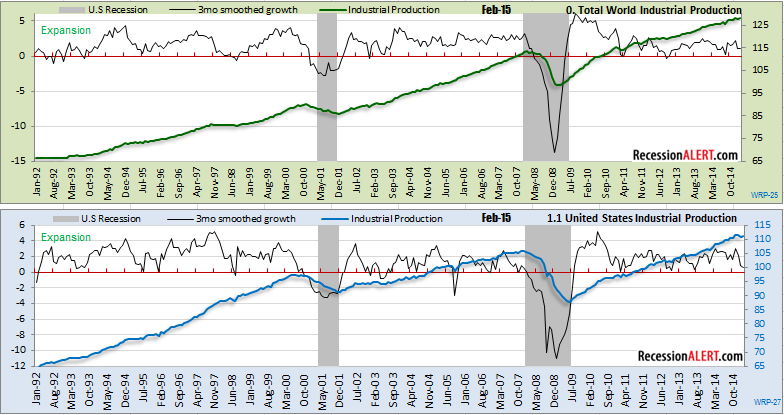 The U.S is a very insular economy and whilst there can be no doubt that global economic slowdowns do have an effect on the U.S economy, we show that the correlation between global recessions and U.S recessions is surprisingly low. 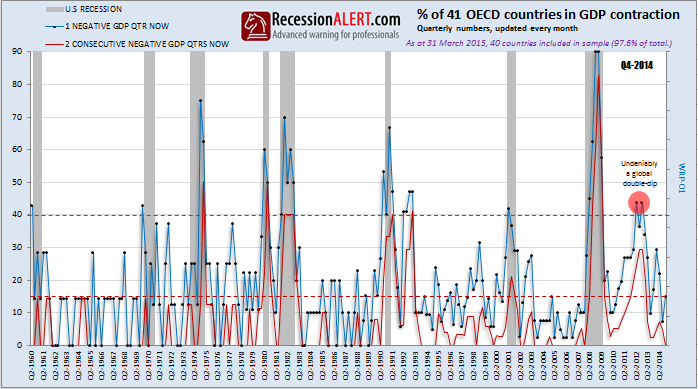 Historically, there is little correlation between Global Recessions and U.S recessions, except in that when the U.S is in contraction, so is the rest of the world. However certain metrics on the global economy do provide some useful input into U.S economic determinations. Dwaine has a Bachelor of Science honors degree and is a full-time trader and investor. His passion for numbers and keen research & analytic ability has helped grow RecessionALERT into a company used by hundreds of hedge funds, brokerage firms and financial advisers around the world. IMPORTANT DISCLAIMERS: Although many of our models rely heavily on back-testing, optimisation and probability methods, please note that past performance is NO GUARANTEE for future returns. No system devised by man can predict the future, let alone the future of the markets and economies. What we have are sets of mathematical models that use historical data and varying theories to pinpoint places in time when the STATISTICAL LIKELYHOOD of calling the start and end to recessions is the greatest. In the midst of all the best mathematical models, you can have geo-political events, wars, terrorist attacks, natural disasters and even nuclear accidents that tip everything upside down. This is always a risk factor you need to factor in on any recession call no matter how confident you are in a signal. The SuperIndexes are created through mathematical and statistical optimisation techniques that best fit the historical NBER data. There is no guarantee that out-of-sample performance will match that of prior in-sample performance. © 2019 RecessionAlert. All Rights Reserved.